In their final home game for the season, the Crows host the GWS Giants on Sunday afternoon, March 10, of the NAB AFL Women’s Competition. And, for the first time ever, the game’s heading southside to the Unley Oval—a beautiful spot for some Summer footy, and a chance to chill amidst the excitement of festival time. Crows fans will be out in force, but for all the visitors to Adelaide at this time, here’s your chance to witness one of the most quintessential Australian events. 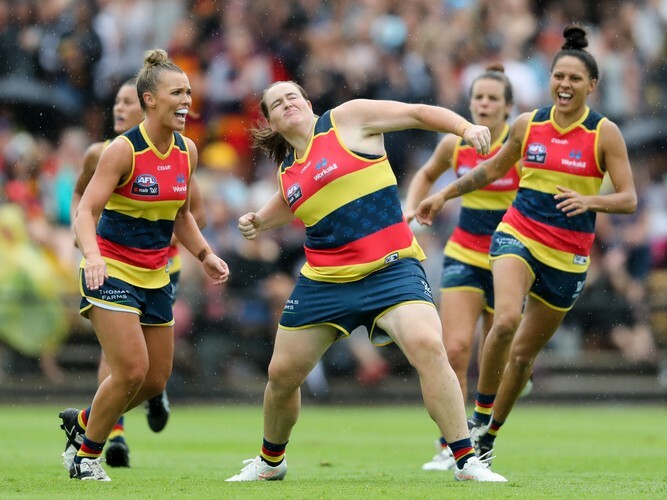 Even if you don’t understand the rules, the spirit of the game and the AFLW community is electric. It really is the very best way to spend a Saturday. The Crows Kid’s Zone is happening for all the families, and the Chemist Warehouse Shade Lounge will be the perfect spot to relax. Entry is free so grab a mate (or three). Unley Oval is super close to the city—an easy trip by public transport. See you at the footy.